Defra Secretary Michael Gove has been accused of ‘complete hypocrisy’ after he performed a U-turn on the need for the UK to ‘take back control’ of environmental rules post-Brexit. 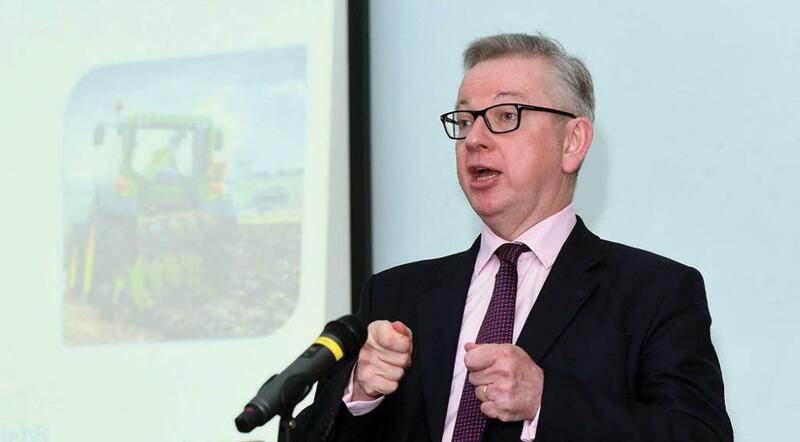 In April this year, Mr Gove told the Environmental Audit Committee (EAC) he would not support an EU proposal for any future UK-EU trade agreement to contain a ‘non-regression clause’ designed to stop Britain slashing environmental standards. The EU’s chief Brexit negotiator, Michel Barnier, had already said a non-regression clause would be needed to ensure a level playing field in future, citing the example of air pollution – an area where the EU has been pushing for farmers to reduce their ammonia emissions. At the time, Mr Gove claimed such a clause would ‘in essence’ allow the EU to give itself control over domestic UK legislation. But giving evidence to the same committee last week, Mr Gove suggested the UK and EU did not need to have a ‘common rule book’ for the environment because a non-regression clause would be sufficient to ensure high standards were maintained. The Government’s Brexit White Paper, to which Mr Gove has given his full backing, proposes such an arrangement. “It could be the case when it comes to environmental standards that a non-regression clause would be an appropriate way of both countries satisfying themselves that suitably high environmental standards would be met,” he said. Mary Creagh, chair of the EAC, slammed the turnaround. She told Farmers Guardian: “This U-turn exposes the complete hypocrisy of Brexiters like Michael Gove, who sold Brexit on the basis that it was all about ‘taking back control’, but now admits that will not be happening. “While I welcome his U-turn on non-regression in principle, it is not enough to ensure our environment is protected in future. “Signing up to maintaining environmental standards is of course welcome, but that means the rules will be set in Brussels without the UK having any say or influence on them. A Defra spokesman said: “In April, the Secretary of State explained he did not think a non-regression clause was necessary because the UK had already committed to maintaining high environmental standards. “However, he also made clear this was ultimately a matter for negotiation. As part of those negotiations, the Government’s White Paper proposes non-regression provisions in areas including the environment.